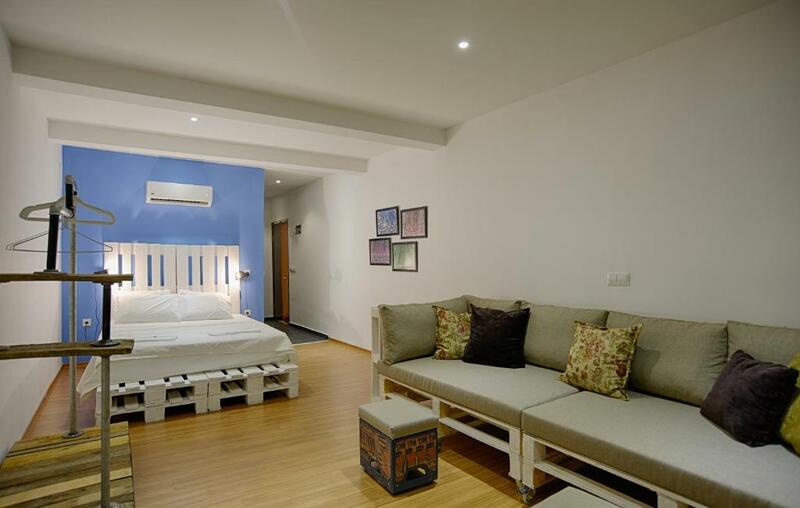 The room is clean and comfortable,. The facilities in the room is industrial style and recycling. Combing with the good seaview, strongly recommend. It was easy to get the key and find apartment. Welcome message was waiting for us from Mustafa, as well as complimentary gift which was really a nice touch. Location of the apartment cant be better. To wake up every morning with the that view... its priceless. Apartment itself is big enough for 2 people. It has everything you need, or you just ask Mustafa... He was helping us to get around the city and recommending what places/beaches to visit (and how to get there). Wifi was great, as well as AC. Sense of uniquely designed furniture, organization and ofcourse cleanliness. Very kind landlord and comfortable apartment. Good location. Just next to the place for boat trip. Cute tips from landlord within a letter. Nice price. This apartment is by the water and is as pictured. Love the deco. The bedroom is spacious and the bed is comfortable. The sofa bed is comfortable too. The heating works really well. The towels provided are soft. The apartment is really clean. Love how they stocked up the tea and coffee for us. The wifi is strong. The location is close to shops and restaurants, and the water. Mustafa is and excellent communicator, very responsive. We had an issue with the doors to the balcony and he fixed it right away. We would recommend anyone to come and stay here when you're in Fethiye. Please note that there is not lift in the building just stairs. Thanks for having us! Location is great, just one block to the sea (but cannot see the sea since it's low floor), so enjoy walking around. Feel quite free and you can cook yourself as "homestay". 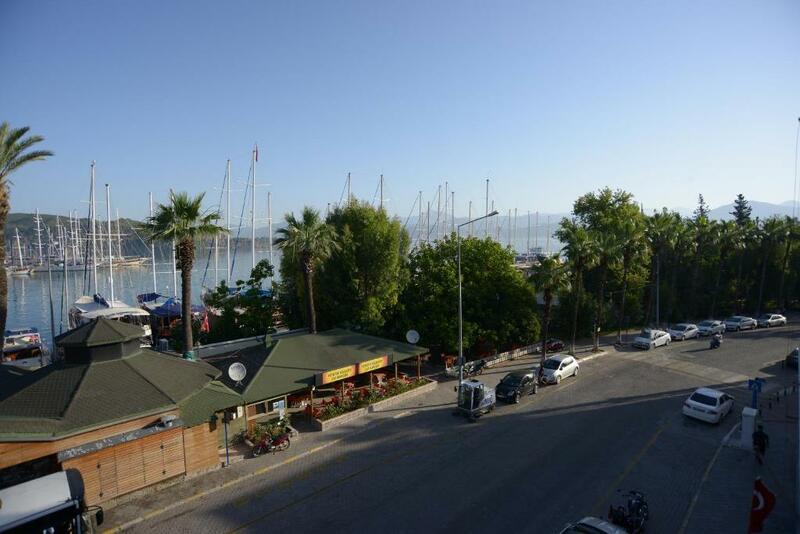 Brilliant location for attractions of Fethiye and transport links for further afield. Spacious and very well kept .The owner Mustafa is a genuinely nice gentleman who responds positively to any reasonable request and takes a personal interest in the property and his guests comfort. We stayed 21 days, loved waking up to the view and had everything we needed, This will definitely be our first choice when we go again. 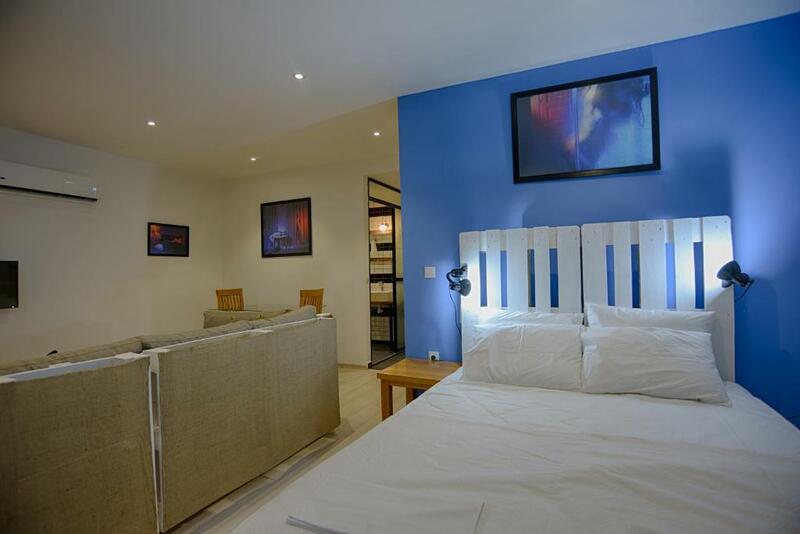 Lock in a great price for Kordon Apartment – rated 9.4 by recent guests! 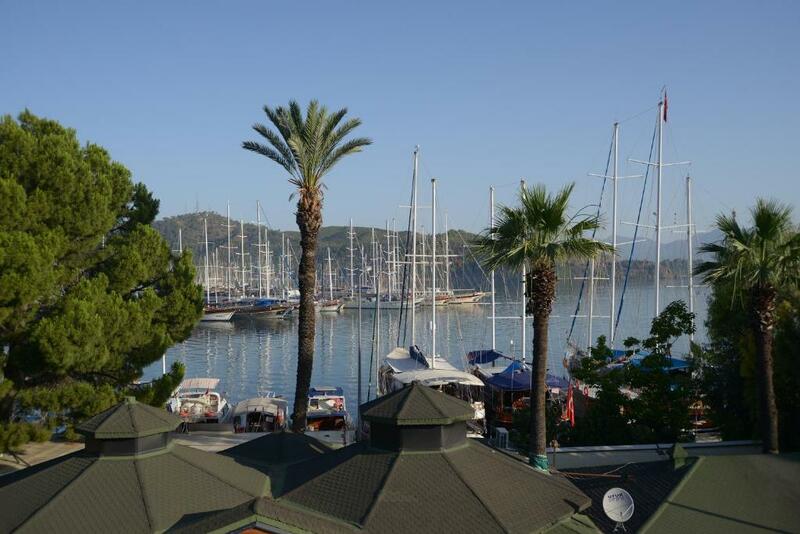 One of our top picks in Fethiye.Located within an 8-minute walk of Ece Saray Marina in Fethiye, Kordon Apartment provides accommodations with free WiFi. Each unit offers a fully equipped kitchen, a flat-screen TV, a living room with a sofa, and a private bathroom. A fridge and electric tea pot are also provided. 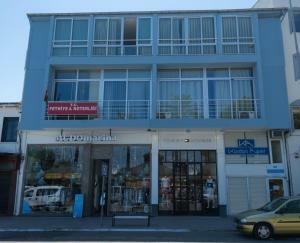 The apartment provides an ironing service, as well as business facilities like fax and photocopying. Calis Beach is 5 miles from Kordon Apartment. The nearest airport is Dalaman Airport, 35 miles from the accommodation. 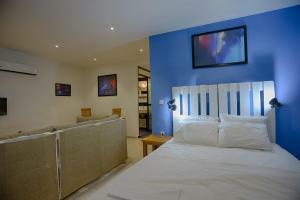 When would you like to stay at Kordon Apartment? This apartment has a sofa, satellite TV and sea view. This apartment features a electric kettle, view and satellite TV. This apartment has a sofa, seating area and washing machine. Hotelier business started as Kordon Hotel in the same building which is now Kordon Apart inheriting the tourism heritage since 1983. 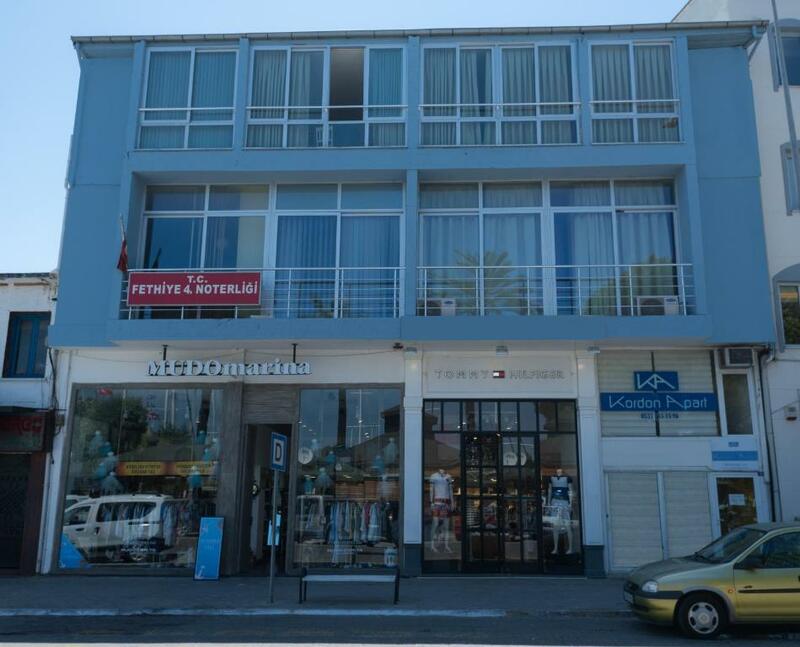 It is situated in the old town center of Fethiye by the water front. Access to many places around are at the front door. The main theme of the decoration is recycling and respecting the environment which we think is important. We prefer quality home made products like pure olive oil soap, organic scents. Our visitors will find local olive oil, grape syrup, sage as small presents from the house on their arrival. I am married and have two sons and a grandson. I like travelling, especially sailing, mostly around Fethiye and to the Greek islands. In fall and winter I go trekking again around Fethiye where the routes take me through historical ruins and by magnificent views. Lycian Way is now world famous trekking route from Fethiye to Antalya passing through many Lycian towns. 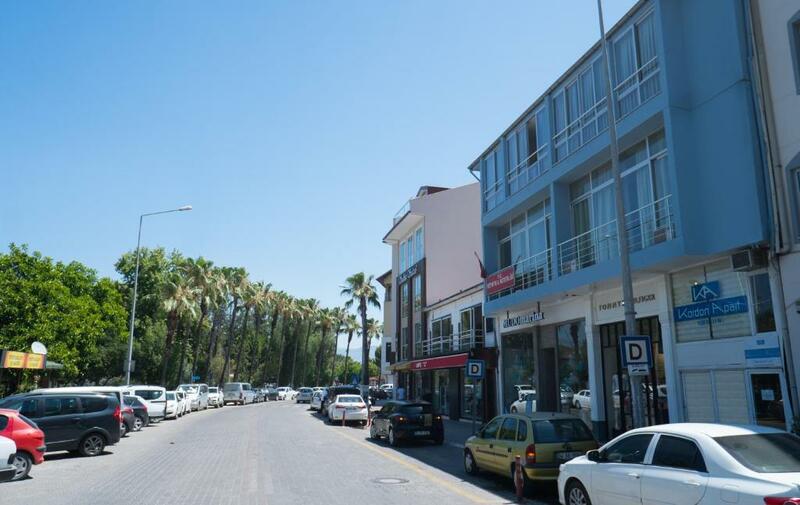 Kordon Apart is right at the center of old town Fethiye. Behind the building is the old bazaar with gift shops, textiles & carpet shops, restaurants and bars. Across the street is the water front where daily boat tours start and scuba diving companies collect their customers. The public transport stop is right in front of the building from where buses ans dolmuş will take you to beaches like Çalış, Ölüdeniz, Samanlık and Kuleli as well as to many historical sites around Fethiye. House Rules Kordon Apartment takes special requests – add in the next step! Kordon Apartment accepts these cards and reserves the right to temporarily hold an amount prior to arrival. Please inform Kordon Apartment of your expected arrival time in advance. You can use the Special Requests box when booking, or contact the property directly using the contact details in your confirmation. Water for shower is a little bit cold in winter time for me. The hot water took a while to start up but really hot once it starts. The water pressure could be better but sufficient. There was a minor leak during our stay cause it was raining hard but not an issue cause Mustafa was very responsive. great location，kind host，nice room，beautiful view. For me not a problem (a reasonably fit 65 male, Elizabeth’s husband) but for some the 48 steps with a suitcase could be quite challenging. Just so you know. May take a little bit time to get the room key and find the correct room. (1) No towels on first day. (2) It can get noisy coz it's near popular F&B and next to the (main) road but that's the price you pay for convenience. Simply put, I'll stay here again if I visit Fethiye and would recommend my friends too. The location is excellent: (1) easy walk from ferry terminal (2) dolmus bus stop in front of building (3) the folks at the minimart are excellent. The studio appartment had everything I needed for a short stay. Stylish and creative interior, everything clean and neat. The location is perfect to explore Fethiye or a stay before or after a cruise. I had a very late arrival at night and they organised for me to pick up the keys in a shop next door. It worked all perfectly. this is my second visit to this apartment, it is clean and spacious with a breathtaking view, I asked for a late check in without problem I want to thank Mr. Mustafa Sikman for his help. host is very kind and helpful. the location is good and view is great. very convenient to everything.